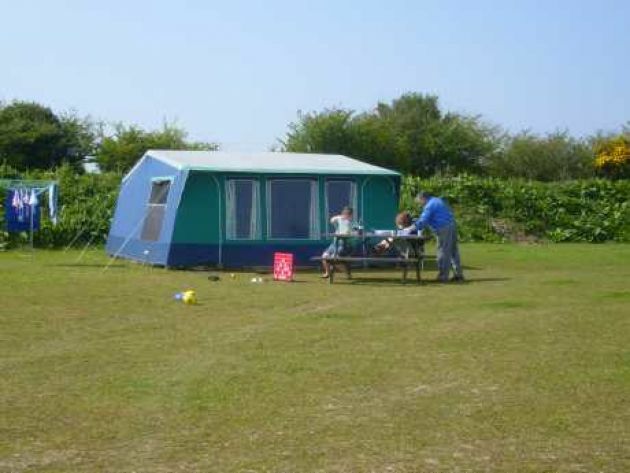 Set in beautiful countryside with breathtaking views of The Lizard Peninsula, our glamping site is nestled in the valley on a working smallholding, surrounded by Shire Horse's and Shetland Ponies. Set midway between Falmouth and Helston on the A394 south west Cornwall, offering a range of caravan holiday accommodation, together with tent/tourer pitch hire - electric hook ups available. Not your average kind of campsite! 25 unit touring caravan site with electric hook-up. Open all year around. Situated on a small working farm producing our own Cornish Clotted Cream, butter and free range eggs. New shower block completed in 2001 with facilities for the disabled. 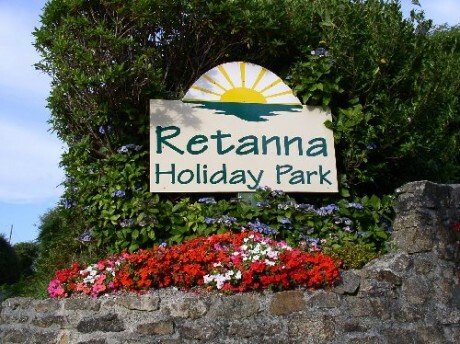 Family owned and run site suitable for couples and families.Large pitches and modern facilities, nice quiet location.